The help system is simple. Type Ctrl + H or F1 and follow the directions. If you are a first time user, type Ctrl + H for a tutorial. Use Ctrl + S or Ctrl + R again to repeat the search in either direction. If Emacs is still searching, Ctrl + G cancels only the part not matched. Valid responses in query-replace mode are replace, skip, back up and exit. Ctrl + X then 4 then . Ctrl + X then 5 then . Ctrl + X then . The following keys are defined in the minibuffer. Ctrl + U then Meta + . 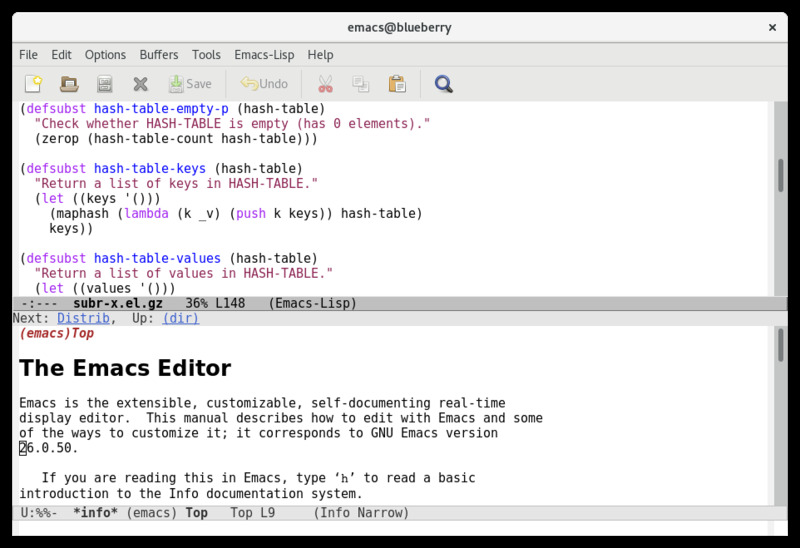 GNU Emacs is the most popular port of the Emacs text editor. It's developed by GNU Project's founder Richard Stallman and dubbed "most powerful text editor of today". GNU Emacs can open text files in multiple character sets and its functionality can be enhanced with Emacs Lisp programs. What is your favorite GNU Emacs hotkey? Do you have any useful tips for program? Let other users know below.